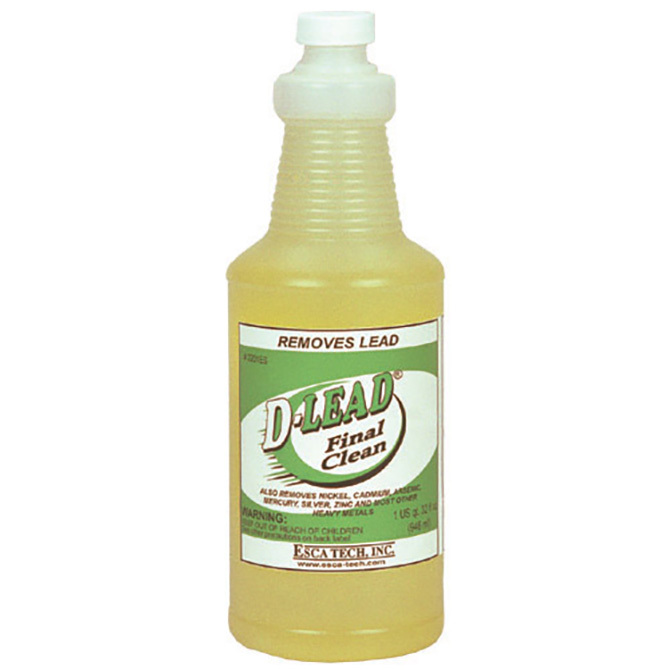 Final Clean is a concentrated surface cleaner that combines the effectiveness of D-Lead® with an optimum level of phosphate. It provides quick cleaning and thorough decontamination of most surfaces with the added cleaning power of phosphate. Formulated for fast, effective cleaning of lunch rooms, locker rooms and office areas. One-step cleaning of windows, mirrors, lunch tables, countertops, glass, porcelain, ceramic and tile. Effective concentrate is ideal for abatement work. Use Final Clean anywhere superior cleaning and quick decontamination is required.